For those who like to mix tasteful decor with athletic enthusiasm, the resourceful inventor Steven M. Johnson created the Covert Gym, the world’s first armchair that allows its owner to row. 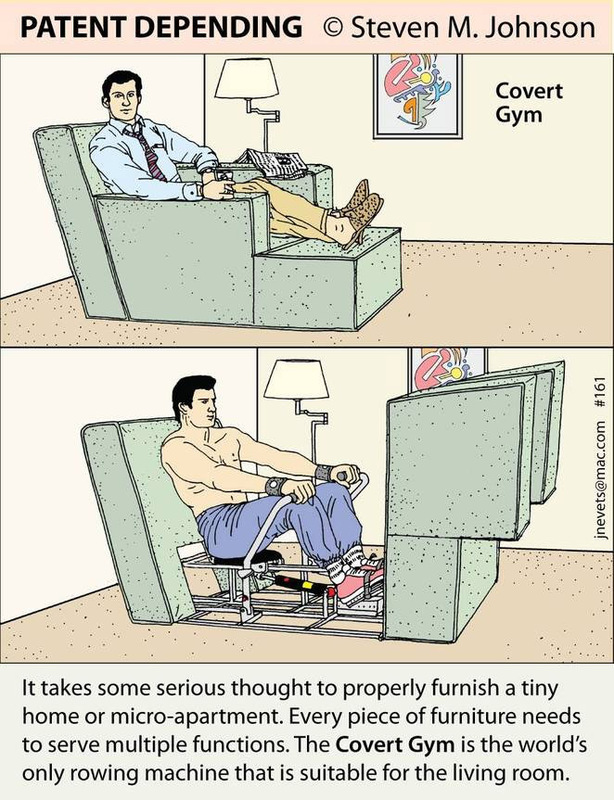 It is also the first rowing machine comfortable enough for watching TV. The quirky invention was not born on a whim. It started with the very practical need for multifunctional pieces in a space-starved home or apartment. Steven M. Johnson decided to hide a rowing machine serving as a mini personal gym inside a chair and thus combine physical activity and leisure. In its initial state, the chair is a modern piece of furniture that could blend well in any kind of decor. When the seat, footrest and arms are pushed away, the chair reveals a fully functional piece of sport equipment that other people could hardly fit into larger homes. While the idea of making furniture more sport-friendly is not new, the transformer chair is the first of its kind. Of course, a backless chair can be used for stepping exercises. Handles can be attached to furniture for pull-ups. Flexible pieces of furniture can change their shape to allow for basic exercises. However, hiding a rowing machine in full view reaches another level of ingenuity. On his Facebook page, Steven M. Johnson reevaluates his creation and talks about some tweaks he would consider for a potential Covert Gym 2.0. 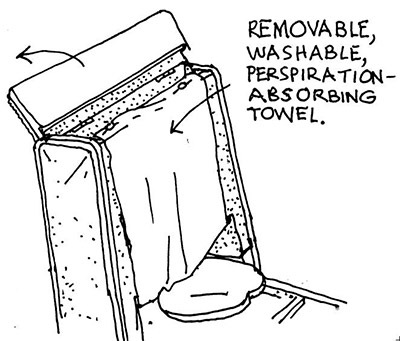 A removable and washable towel on the back of the seat would absorb perspiration and keep it away from the chair. A flat-screen TV hidden in the underside of the seat would ensure that the rowing laborer is well entertained. However, until the new version finds its way into reality, Steven M, Johnson’s invention remains the only armchair that makes the “couch potato” concept almost flattering.